Do you want to change sticky notes font on your computer? 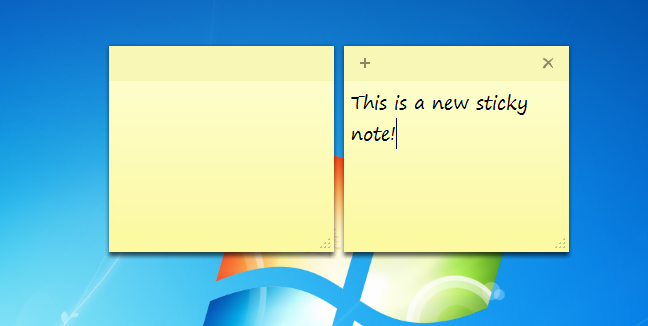 Well, check this tutorial about how to change sticky notes font, size, and style. If you have a fish memory like mine, this little app can save your life (and more than one, two and three times as is my case). It is an app that acts as the post-it you have pasted along the monitor, which are responsible for reminding you of valuable things. It is effortless to use, free (comes installed by default in Windows 7, Windows 8 and Windows 10) and over with colors! It will open a little note in which you can start writing from now, but first, you can give a little taste to your notes. You have the option to change sticky notes font and colors, being able to choose between Blue, Green, Pink, Purple, White and Yellow, the latter being the default color. To do this, you only need to press the right mouse button on any of your notes, and you can choose any of the colors mentioned above. In the following list, you can see the key combinations that exist to customize your sticky notes to the maximum. Well, there is a small hack to fix this little ‘bug’ of Windows and put the font that you like. There you will see a list with all the fonts you have in your system. Search for the typeface Segoe Print (Truetype) and Segoe Print Bold (Truetype) and to change it for the one you want, and you must add the name of the file that contains the typeface in the Value data field, for example, Calibri.ttf and Calibrib.ttf, respectively. As you can see, changing your sticky notes font, size and style is easy and gives to your computer some level of personalization regarding the user taste. I hope this tutorial helps you. Do you know another way to change the sticky notes font? Let me know in the comments section.